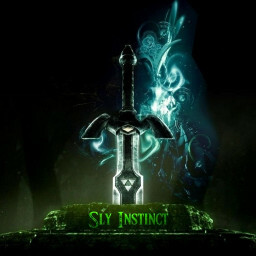 Sly Instinct's posts | osu! Hi! NM please https://osu.ppy.sh/beatmapsets/869078#osu/1816371 Thanks! Submited for timing check only. Hi! Nm mod please https://osu.ppy.sh/beatmapsets/869078#osu/1816371 Thanks! Hi! NM req https://osu.ppy.sh/beatmapsets/869078#osu/1816371 thanks! Hi! NM req please https://osu.ppy.sh/beatmapsets/869078 Thanks! Hi NM Please https://osu.ppy.sh/beatmapsets/869078#osu/1816371 Thanks! Hi, M4M Req https://osu.ppy.sh/beatmapsets/869078#osu/1816371 Thanks! Hi, NM Please https://osu.ppy.sh/beatmapsets/869078#osu/1816371 Thanks! Hi, NM Please. https://osu.ppy.sh/beatmapsets/869078#osu/1816371 Thanks! NM Please. https://osu.ppy.sh/beatmapsets/869078#osu/1816371 Thank you!